It's a dreary grey day in London today, and there isn't going to be much of it. For today is the Winter Solstice, when the Northern Hemisphere experiences the shortest amount of daylight all year (a mere 7 hours and 49 minutes). To celebrate the depths of winter, and the gradual return of the sun, today is the kick off of a fantastic KAL hosted by The Fibre Company, featuring their glorious Tundra yarn and the patterns from the Nordlándda collection! All images copyright 2016 Kate O'Sullivan for The Fibre Co. The KAL is being hosted in the I Heart The Fibre Co. Ravelry group, and will run through the last day of winter, on March 20th. As a special deal, you can get three of the Nordlándda collection patterns for the price of two - just use the coupon code Northland17 when you check out to receive your discount. I'll be hanging around the KAL thread on Ravelry to answer any questions and cheer people on, and I'm excited to be joining in! Copyright 2016 Kate O'Sullivan for The Fibre Co. I'm going to knit Fauske in some handspun Bluefaced Leicester - the singles are done, but now I've got to ply and finish the yarn before I can cast on. Looking forward to having you all join in! This is the last post to cover the Nordlándda Collection, and I've save the hats for last. When originally discussing the collection, Daphne and I decided that we wanted to have a hat that was throughly unisex. I went for a close fitting shape with a small, all-over stitch pattern and ended up with Ifjord. Starting with 2x2 ribbing, the hat is then worked in a lovely but simple cable pattern that only every uses 1x1 crosses; in other words, only 2 sts are in each cable crossing, making this a good project to work without using a cable needle. 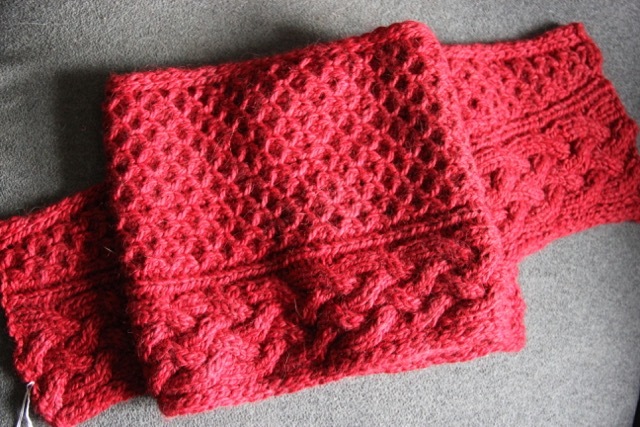 The stitch motif is a 6 stitch repeat worked over 4 rounds, 2 of which are plain stockinette, making the stitch pattern easy to memorise. The crown decreases are worked at four equally spaced points around the circumference of the hat, and hide the decreases within the already existing stitch pattern, making for a smooth transition to the crown shaping. Next up is Sappen. 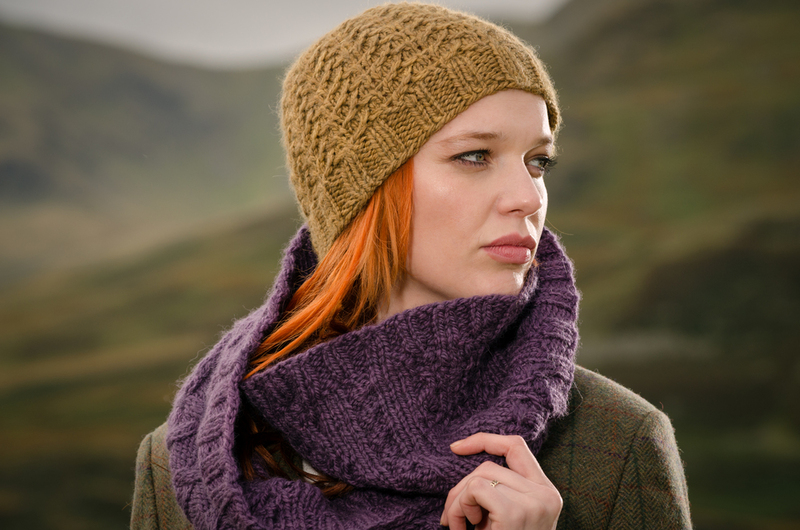 This is another beanie that is worked in an all-over cable pattern, but unlike the small stitch motif in Ifjord, this hat uses two cable patterns: a large complex cable panel bordered by four stitch Honeycomb cables repeated around the hat. After starting with 1x1 twisted rib (k1tbl, p1), the cables are worked up to the desired length. The crown shaping is built in to the cable panel as the hat grows, so there is a lot to pay attention to as you work your way to the top! Slouchy Skáidi is related to Sappen, in that they share the twisted ribbing, the large cable panel and the Honeycomb cables. In Skáidi however, the cable panel is only worked once, with Honeycomb cables on either side and a third Honeycomb cable directly opposite the cable panel. The crown decreases are again worked into the large cable panel and on either side of the opposing Honeycomb cable. Although the rest of the hat is worked in stockinette, I actually think this one is the most difficult of the three because of the more complicated crown decreases. This wraps up my overview of the pieces in the Nordlándda Collection. It's been great fun to share them all with you, and it's wonderful to see projects and FOs starting to pop up on Ravelry, Twitter and Instagram. There's still time to join the #AYSWinterCablesKAL hosted by Carmen from A Yarn Story if you need a holiday gift, and share your projects in the Ravelry thread!